Early last year, I dispensed with the oh-so clever, but confusing, blog-post titles and faintly related opening quotes, which I shamelessly copies from Ho-Ling Wong – whose blog was a model for my own back in 2011. Hey, you know the old classroom rule: if you're going to copy your homework, copy it off an Asian. So my first, normal-looking review was Helen McCloy's The Man in the Moonlight (1940) and ended with the promise to look at her other work in 2018. As to be expected, this didn't pan out as planned. Nonetheless, there was one particular title that had been on my mind the entire year and have referred to this book in a number of reviews (e.g. Donald E. Westlake's Murder Among Children, 1967). The Further Side of Fear (1967) is one of McCloy's lesser-known detective novels and the only person who appears to have discussed it is Mike Grost, of A Guide to Classic Mystery and Detection, who described it as a combination of suspense, mystery and espionage with an impossible crime plot – noting that the late sixties was "an atypical era in mystery history" for a writer "to develop an interest in locked room puzzles." 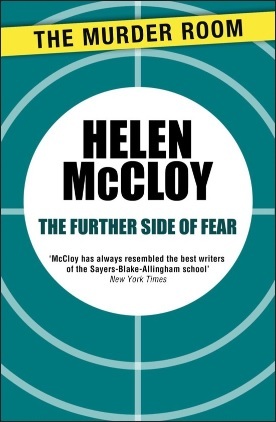 Surprisingly, The Further Side of Fear was McCloy's first formal, traditionally-styled locked room mystery novel. The impossibility from her earlier and much lauded mystery novel, Through a Glass, Darkly (1950), concerned the inexplicable appearances of a döppelganger. The Further Side of Fear offers an authentic locked room conundrum in the spirit of MacKinlay Kantor's "The Light at Three O'Clock" (collected in It's About Crime, 1960), but with a better explanation for the impossible problem. Lydia Grey is an American who has come to London to write a series of magazine articles on British furniture and has taken a small flat in Belfast Square. Lydia is a very light sleeper and the story begins when she's awakened in the middle of the night by footsteps, muffled by the carpet, around the corner of the L-shape room of the flat. She pretends to be asleep, while intruder silently moves around the dark flat like "a stealthy animal," but catches a glimpse of this person as the silhouette drew a curtain to look out on "the lamplit London square" – which is an odd thing to do for an intruder. 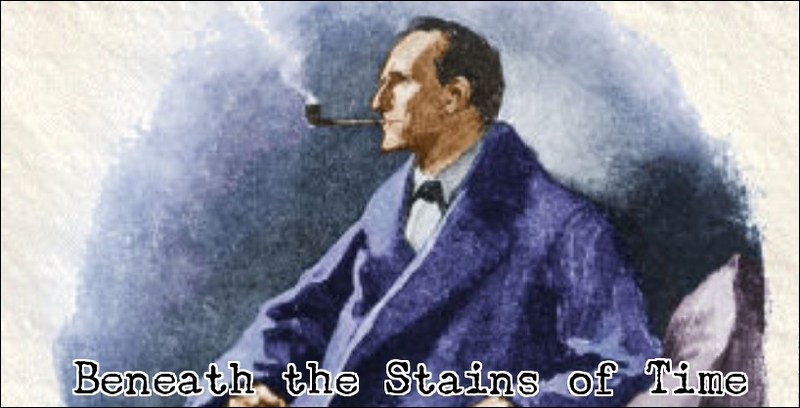 However, this presence vanishes as mysteriously from the pitch-black apartment as it has appeared and this is where the impossibility comes into play. There's only one door, locked and bolted from the inside, "the windows were eight floors above the ground," sliding panels of glass, which were tightly locked against "the winter night." So how did the uninvited, night-time visitor enter and leave the dark flat? The second chapter is a treat for the overly enthusiastic locked room reader. Lydia immediately called the police and the responding officers eliminate every possible point of entry and exit. The intruder could have wormed a forearm through the letter slot in the door and turned "the knob that releases the snap lock," but the bolt was "too far from the slot." And the door with its lock is a modern one, which makes it impossible to use one of those old-fashioned thread-and wire tricks that manipulate the keys and bolts from the outside. Lastly, there's a rubbish hatch with a powerful compressed air spring designed to hold it tightly shut once it's closed. A brief experiment shows the flat could not have been entered through the rubbish hatch. So they establish it's "physically impossible" for anyone to get in, or out, of the flat when the hall door was locked and bolted from the inside! Nevertheless, you don't have to be Dr. Gideon Fell or Jonathan Creek to figure out how the trick was worked. The trick is a relatively simple one, but notable because it's set in a modern, post-WWII building with doors, locks and bolt that appeared to preclude any of the old, time-worn tricks or gadgets. And this gave it a glimmer or originality. Although some would probably argue McCloy reversed a time-honored principle of locked room trickery and applied it to a modern setting, but that would be taking a sledgehammer to a butterfly. It's a good, acceptable, if simple, locked room-trick. The seemingly impossible entering of a tightly locked and secured flat is only one facet of the plot and the book, as mentioned previously, is primarily a novel of suspense with a dash of espionage, which McCloy neatly linked to the locked room problem – not forgetting to plant a clue or two in the narrative. I also liked how the setting was used. A lion's share of The Further Side of Fear takes place in the flat and not only gives you the idea that you're reading a novelization of a stage-play, but it drives home the fact Lydia is a very isolated woman. A woman far away from home with really nobody around her who she can trust. There's the house steward, John Erskine, who had been making his nightly round of the premise at the time the intruder was in Lydia's flat. She had a shipboard acquaintance, Gerald Denbigh, over as a guest that evening and her only friend in England is Alan MacAlan of the Foreign Office. The only ones she can trust are her two teenage daughters, but they dragged along two young boys, Jimmy Gregg and Tony Ffolliott, who have a talent for getting into trouble. Needless to say, there are a number of complications in the case, such as an unexpected murder, anonymous telephone calls and a kidnapping, which finds its climax on the European continent – bringing Lydia to France and Italy. On a whole, The Further Side of Fear is a fairly minor and short novel, but the plot pleasantly blends dark, nightmarish suspense with espionage and framed it as a locked room story with an unusual impossibility. And deserves much more attention than it has gotten until now. Especially from us locked room readers.